See the Crown … Wear the Crown … Be the Crown! Attaining the Triple Crown is a rare accomplishment, whether in horse racing or in baseball. Unfortunately, it is also a rare accomplishment in our life as a Christian. 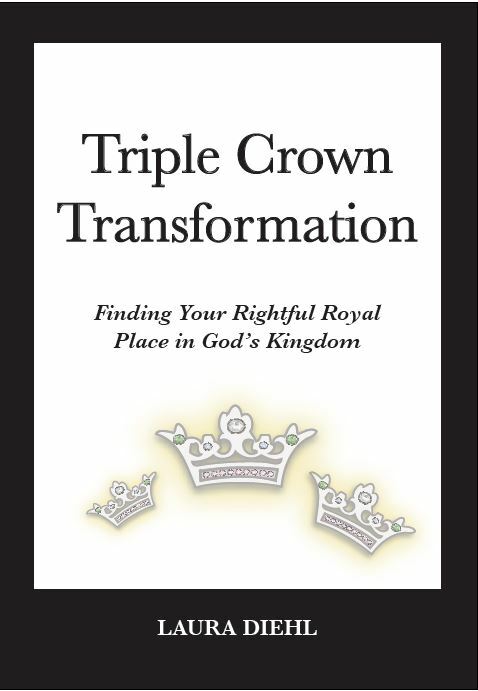 What is the Triple Crown for a Christian? Laura Diehl believes it is learning 1) how to clarify God’s vision for our lives, including being released from our past which keeps us from going forward 2) how to live from a place of authority of being in Christ 3) how to live from a deeper revelation of the identity of the indwelling power of the Holy Spirit. Come join us on this Kingdom journey, to be the heir God intended you to be.